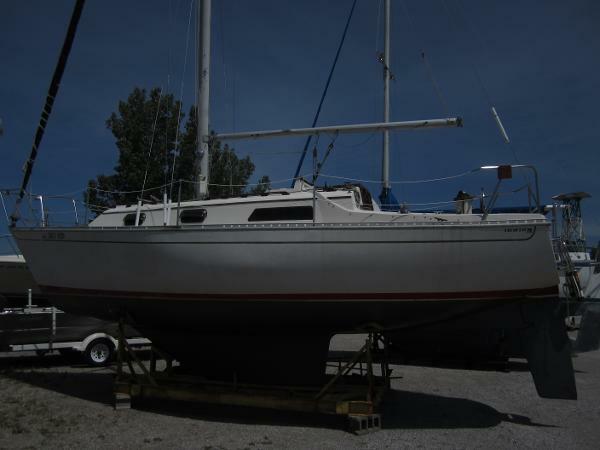 1978 Irwin Citation Being a solidly built sailing vessel makes this Irwin Citation 30 a great "starter" boat for anyone interested in sailing the Great Lakes. Bucket List has plenty of room topside as well as great accommodations down below. This boat has a Yanmar diesel engine, roller furling and wheel steering, which are some of the most desired options in today's sailing world. She is a keel centerboard boat, therefore you can sail just about anywhere. Put her at the top of your Bucket List today! 1984 Irwin Citation 31 The Irwin 31 is a great day/weekend sailing vessel which offers good performance for those who wish to participate in club PHRF sailboat racing. All the lines are lead aft for easy operation by one or two people, and with the full bimini and dodger you will be able to keep cool & out of the sun. In the spring of 2014 the boat was gone through with many new items. The mast was removed and all standing rigging inspected and serviced to include the roller furling jib. Vessel was hauled out and a complete bottom job was done with fresh bottom paint, new pendant (Swivel pin ) for the center board, and a new propeller installed. 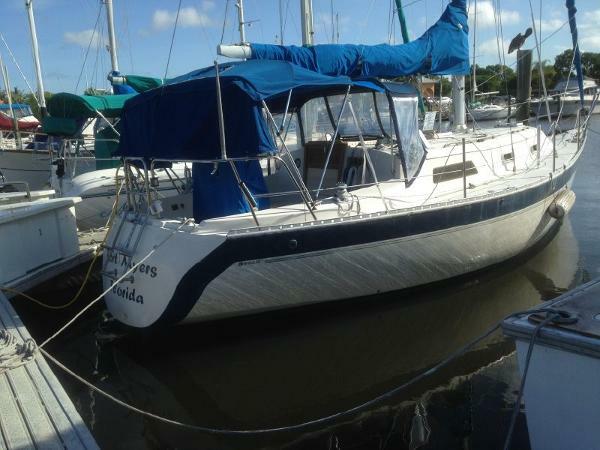 This is a great boat for the couple who just wants an inexpensive fun boat to day sail or weekend sail, or do some club racing, and with so many new items it should be almost maintenance free boat for years to come. This Centerboard 31 Irwin is the ideal boat for South Florida and the Bahamas. She draws 4 feet with the centerboard up, and 8 feet with the board down. We have just replaced the centerboard cable, and installed a new battery charger with two new batteries. She also has a brand new $1,500. Bimini., along with a new Garmin 540s Chartplotter, New Raw Water Pump, New Alternator, New Mixing Elbow on Engine, New Zincs, & New Drive Shaft Packing. There is also a new 30amp Shore Power Cord, New Stainless Steel Water Heater,New LED Spreader Lights, New LED Compass Light, New Multi-media Stereo with Remote, Lazy Jack System with New Lines, New Main Halyard and New Furling Jib Line, & New Davis Mast Top Wind Indicator. There is a Racor Fuel Filter System that was just serviced with new filters.!!! A great boat to spend your winters on in the Islands!!! Call us today-come take a look-Make us an offer!!!! This Irwin was not used often but when she was, the owner said all equipment worked well. The engine fired right up and purred. Stainless Steel grill looked great, stove, oven and fridge ready for use. Head was upgraded and usable. All the solar-powered vents were working keeping the inside at a bearable temp on a hot day around 3:30 pm. Stock #149127 Great Irwin 34 Citaton! Marine A/C! 3 Burner Stove! Auto Pilot! Depth Sounder! 8.5' Inflatable Dinghy-New In Box! Big Spinnaker! 100W Solar Panel! 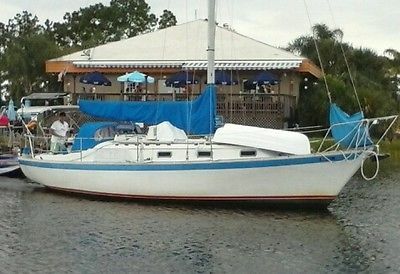 If you are in the market for a sloop, look no further than this 1982 Irwin 34 CITATION, just reduced to $18,900 (offers encouraged). 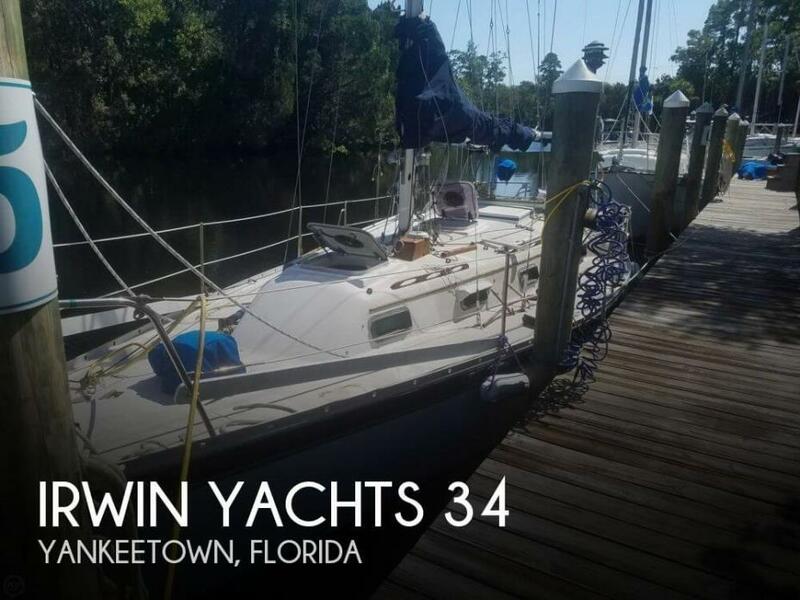 This vessel is located in Yankeetown, Florida and is in good condition. She is also equipped with a Yanmar engine. Reason for selling is new job. 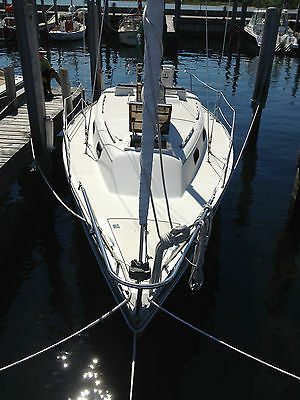 1985 Irwin Citation 40 foot Sloop Rigged Sailboat with Yanmar 35 3 cylinder inboard diesel with 1019 hours on meter. Newly installed central reverse cycle Air conditioning/heating. New dual 50gal fresh water tanks. This vessel is Coast Guard documented and recently surveyed in 2012 with a value of $30,000.00. It is presently dry docked for easy inspection. Inspections are welcome and copy of survey is available upon serious consideration and offer. Slip in secure gated marina is paid through spring. This boat is priced well below market value and all reasonable offers are considered. Builder: Irwin Yachts Designer: Ted Irwin Model: 82 Irwin 40 Citation Hull# 204 L.O.A. : 39'09" L.O.D. : 36'08" Beam: 12'02" Draft: 4'03"/9'06" Displacement: 16,900 LBS. Ballast: 6,500 LBS Lead.